Considering the site’s ethos we’re obviously huge fans here at Broken Frontier of any projects that look to showcase the grassroots scene and boost alternative comic talent; especially those that do so in an inclusively welcoming and accessible environment. Ghost Comics Festival is one such enterprise, looking to invigorate the alt comics scene in Glasgow with a line-up of exhibiting creators that immediately caught my eye… simply because so many of them were new names to me. Always an exciting sign when you’ve been covering the UK small press scene as long as I have! 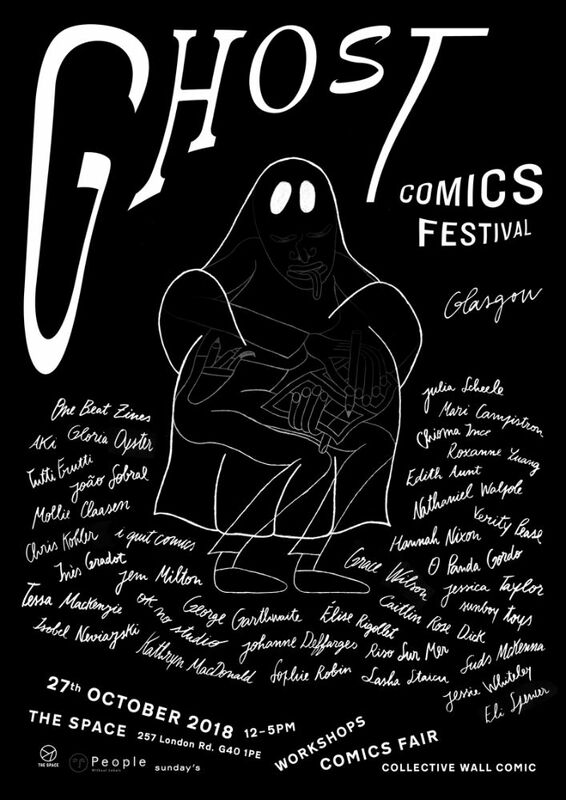 Ghost Comics Festival is a new Glasgow comics fair organised by João Sobral of O Panda Gordo, Jessica Taylor, and Julia Scheele of One Beat Zines. We’re looking to organise an event that showcases local talent in alt and indie comics, the first one taking place on the 27th of October at the community event space The Space. It’s run by non-profit People Without Labels, who are very kindly sponsoring us! As well as the fair we are offering three workshops for ages 8 and up (details on our website: www.ghostcomicsfestival.com). 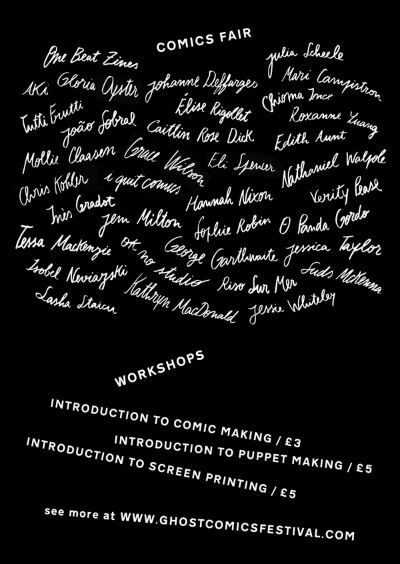 The workshops are An Introduction to Comic Making with Jem Milton, An Introduction to Puppet Making with Sunboy Toys, and An Introduction to Screen Printing with Jessica Taylor. If you’re in Glasgow on October 27th this looks simply unmissable. You can find out more about the festival on their site here and follow them on Twitter here.